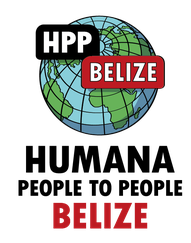 To promote institutional and environmental sustainability, HPP Belize sells clothes bales to small businesses and manages six second hand clothes and shoes retail shops. 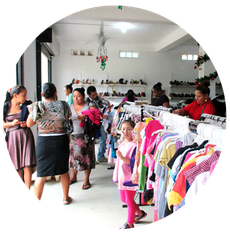 Part of the funds generated by the project are used to finance a portion of HPP Belize's community development projects, the remaining funds are used to cover the costs of the Second Hand and Shoes Project. 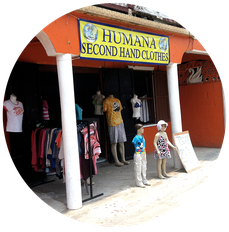 The shops are located in Stann Creek District (Dangriga, Placencia, Santa Cruz) and in Toledo District (Bella Vista, Independence and Punta Gorda). Second hand clothes are worn by 70% of people on Earth. The textile industry is responsible for 10% of all carbon emissions in the world and, after petroleum, its the 2nd most polluting industry in the planet. For each 1 kg of new clothes - that are prevented from being manufactured - more than 15 kg of CO2 emissions are saved. Making the use and retail of second hand clothing one of the most efficient way of recycling. 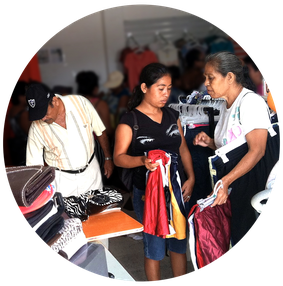 Give access to quality and affordable clothing that improves families' development by facilitating a better allocation of income for food, shelter, healthcare, education and other needs; while providing dignity and a way for them to express themselves. Promote the creation and consolidation of small business with the re-sale of second hand clothes and shoes. Implement environmental solutions that promote the recycling and reuse of resources while helping reduce contamination sources due to manufacturing of new clothes and the incorrect disposal of used ones. Assist in the financial sustainability of Humana People to People Belize's projects in a socially and environmentally responsible manner.